What is mortgage pre-approval, anyway? Mortgage pre-approval is that step in the process where a lender probes deep into your financial past, checking out your income, debts, credit score, and other factors that help it determine whether or not to give you a home loan—and how much money you stand to get. And that helps you set your sights on the right price range for a home. “You need to know your buying power,” says Ray Rodriguez, New York City regional mortgage sales manager at TD Bank. Indeed, finding out your price range now can save you a lot of time and energy in the future. “It’s emotionally crushing to find a home that you love and not be able to afford to purchase it,” he says. Mortgage pre-qualification entails a basic overview of a borrower’s ability to get a loan. You provide a mortgage lender with information—about your income, assets, debts, and credit—but you don't need to produce any paperwork to back it up. As such, pre-qualification is relatively easy and can be a fast way to get a ballpark figure of what you can afford. But it's by no means a guarantee that you'll actually get approved for the loan when you go to buy a home. A letter of pre-approval from a mortgage lender is akin to a VIP ticket straight into a home seller's heart. Why? It's proof you are both willing and able to purchase the home. Consequently, many sellers will accept an offer only from a buyer who has been pre-approved, which makes sense given that without pre-approval, there’s basically no guarantee whatsoever that the deal will go through. Proof of funds for the down payment, such as a bank account statement. If the cash is a gift from your parents, you need to provide a letter that clearly states that the money is a gift and not a loan, says Rodriguez. 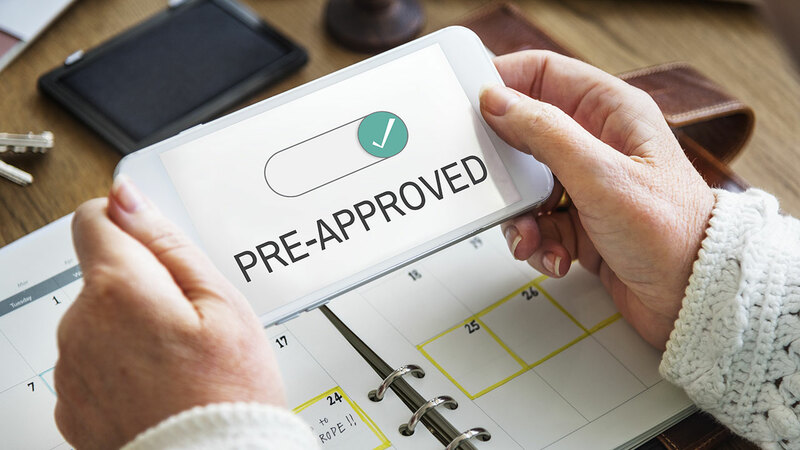 Don't make this pre-approval mistake! Each time you apply for a new credit account—including a home loan—you trigger a “hard inquiry” on your credit, which dings your credit score, says Bill Hardekopf, a credit expert at LowCards.com. Your score can drop as little as a few points or up to 14 points, depending on your credit history and the number of other loans or credit accounts you’ve applied for in the past 90 days, says Jeremy David Schachter, mortgage adviser and branch manager at Pinnacle Capital Mortgage in Phoenix, AZ.